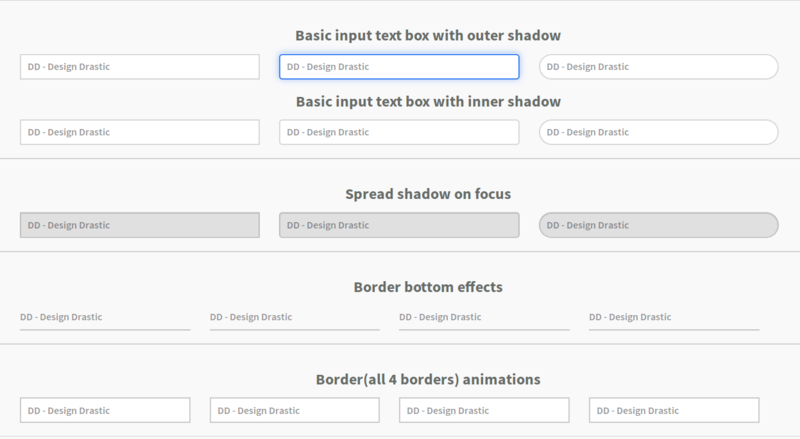 Hello folks, are you guys ready to explore the various kinds of styles/effects on input text box? Then this demo will show you the basic shadow(inset/outset) effect on input, Spread shadow effect, Glow effect using shadow, Border animations, Shutter(in/out) effects, and border bottom animations. You can modify the code according to you need. There are no external libraries/js. The demo is implemented on pure CSS. Hope you guys liked the demo. Comment below for any suggestions or query. Thank you.